S15 4-6-0 828 passes through Crewkerne station on 8 October 1994 with the Pathfinder Tours 1Z62 07:10 Wolverhampton to Exeter St Davids 'Exe-Parrett' railtour. 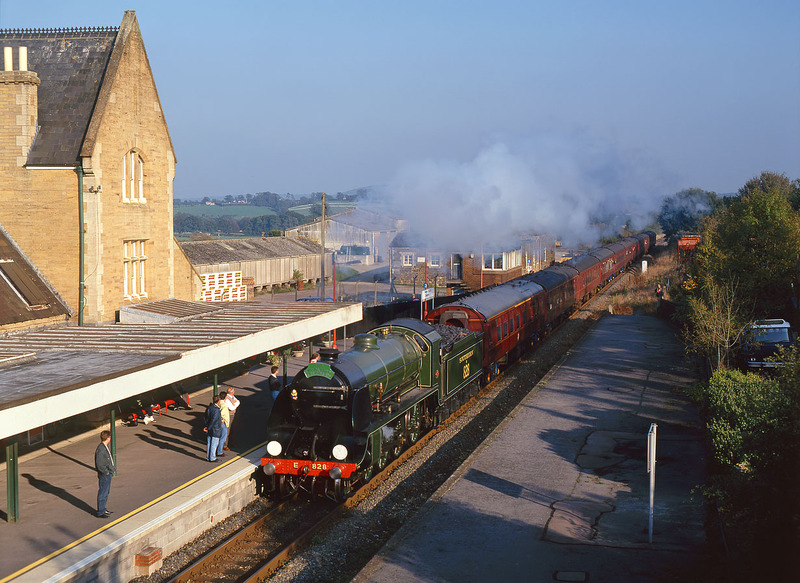 The steam loco took over the tour at Bristol Temple Meads, working a circular route via Westbury and Yeovil and then back via Taunton. Personally I don't believe this tour is an 'Exe-Parrett', I think it just pining for the fjords!